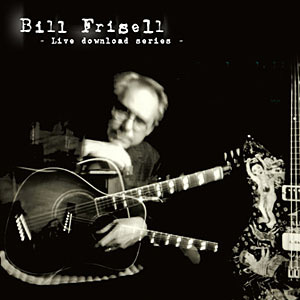 Bill Frisell's career as a guitarist and composer has spanned more than 35 years and many celebrated recordings, whose catalog has been cited by Downbeat as "the best recorded output of the decade," including his recent albums for Savoy -­‐ Sign of Life with the 858 Quartet, Beautiful Dreamers, All We Are Saying, a collection of John Lennon interpretations and his debut release for OKeh/Sony Masterworks, Big Sur, featuring music commissioned by the Monterey Jazz Festival and composed at the Glen Deven Ranch in Big Sur, for strings, guitar and drums in a quintet comprised of long-­‐time musical associates. 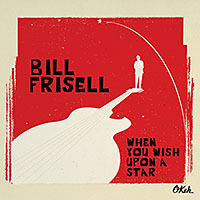 Frisell's latest album for Okeh/Sony When You Wish Upon a Star, a project that germinated at Lincoln Center during Bill's two-­‐year appointment as guest curator for the Roots of Americana series (September '13 - May '15). 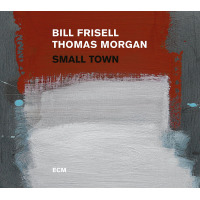 It features Frisell with vocalist Petra Haden, Eyvind Kang (viola), Thomas Morgan (bass) and Rudy Royston (drums) performing Frisell's arrangements and interpretations of Music from Film and Television. Jazz Times described the project as follows: "unforgettable themes are the real draw here, reconfigured with ingenuity, wit and affection by Frisell and a terrific group." The touring version of the band includes Haden, Morgan and Royston. 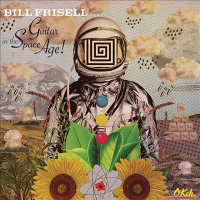 Always on the lookout for opportunities to "dig around for where I'm coming from," Frisell's recent project, the Grammy nominated GUITAR IN THE SPACE AGE!, is an homage to the inspirational popular music of his formative years made in the wake of "the birth of the Fender Telecaster guitar" -­‐ (1951, the same year as Frisell's own birth) -­‐ that, he recalls, "got me super fired-­‐up" about his instrument of choice. 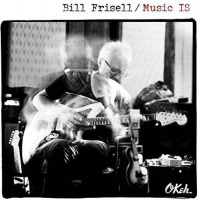 Frisell and his band mates explore material on the Okeh/Sony Masterworks release associated with The Beach Boys, Junior Wells, Pete Seeger, The Byrds, Duane Eddy, The Ventures, The Kinks, Chet Atkins, Link Wray, Speedy West & Jimmy Bryant, The Astronauts, Merle Travis, Johnny Smith and others, as well as original material by Frisell. albums with jazz legends -­‐ Dave Holland/Elvin Jones and Ron Carter/Paul Motian. The Intercontinentals blends Frisell's brand of American roots music with Brazilian, Greek, and Malian influences. Disfarmer was inspired by the work of the mid-­‐century rural Arkansas photographer Mike Disfarmer. Recognized as one of America's 21 most vital and productive performing artists, Frisell was named an inaugural Doris Duke Artist in 2012. He is also a recipient of grants from United States Artists, and Meet the Composer, among others. Upon San Francisco Jazz opening their doors, he served as one of their Resident Artistic Directors. Most recently, Frisell was commissioned to compose and perform a new composition in San Francisco by the Freshgrass Festival.